Asuncion, DDN – 41 personalities from a known NPA haven in the boundaries of Loreto, Agusan del Sur and Kapalong, Davao del Norte surfaced as rebel-returnees and voluntarily submitted themselves to the Balik-Loob Assistance Center of the 60th Infantry Battalion (60IB) in Kapalong town last Tuesday (October 30). 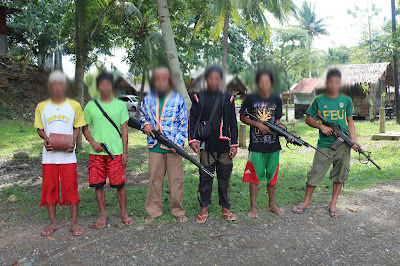 Eleven (11) of the rebel-returnees were regular NPA members, ten (10) of whom were from the Guerrilla Front 34 (GF 34) of Sub-Regional Committee 4 (SRC 4), Southern Mindanao Regional Committee (SMRC) and one (1) from the Pulang Bagani Command 4 (PBC 4) of the same SRC. 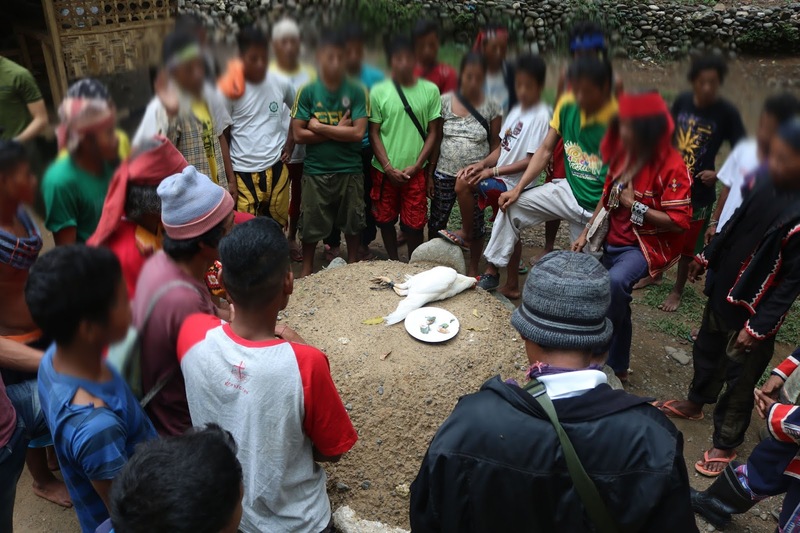 The rest of the rebel-returnees were members of the Militiang Bayan (MB) and Underground Mass Organization organized by GF 34 under Maximo Catarata (alias Datu Makatindog) in Sitios Muling and Tawinian of Barangay Gupitan, Kapalong, DDN. Alias Arnel, one of the NPA regulars, surrendered with his homemade shotgun while MB members, alias Datu Morris, alias Tomas, and alias Miki surrendered with their Garand rifle, caliber .22 homemade rifle, and caliber .45 handgun respectively. Another MB member, alias Kosme, surrendered with an improvised explosive device (IED). One of the group’s leaders, alias Kulas, says that his fellow villagers (both regular NPA and MB members) from Sitio Muling and Sitio Tawinian of Barangay Gupitan, Kapalong have been asking him and their other tribal leaders to initiate their mass surrender since the former decided to leave the NPA earlier this year (February). Kulas, however, had to postpone such plans and lie low since they were threatened with “SM” / “Tata” Catarata (Maximo Catarata’s son) who just recently contacted them and urged them to join them back in the NPA. Before becoming an NPA regular, Kulas, along with many other residents of Sitio Muling and nearby communities, was taken to the UCCP Haran Compound in Davao City on March 2015 by certain personalities who claimed to be human rights groups. Earlier in 2014, and later in 2015, Kulas and hundreds of his fellow indigenous peoples (IP) from Mindanao found themselves being transported back and forth to Manila and Mindanao for the “Manilakbayan,” a series of protest rallies condemning the alleged militarization and human rights violation against IPs in Mindanao. Kulas recalls non-stop rallies in Liwasang Bonifacio and Plaza Miranda in Manila, Baclaran Church in Pasay, the Department of Education Office in Pasig. “It was wearisome. There was even a point when we were so starved and got sick,” Kulas adds in the vernacular. Upon returning to UCCP Haran in Davao, Kulas and seven (7) of his fellow IP evacuees there were contacted by Maximo Catarata/Datu Makatindog and recruited them to join the NPA. Later, Kulas was among the NPA group encountered by army troops in Laak town, Compostela Valley Province last July 2017 where at least eight (8) of their comrades were killed. Meanwhile, Datu Moris, a Tribal Chieftain of Sitio Muling who also evacuated to the UCCP Haran Compound and joined the Manilakbayan, former tack-in of GF 34, and head of Underground Mass Organization “KAWELEHAN” (translated as Defense of Ancestral Domain), reveals how the NPA deceived their community into supporting their communist cause. “We joined them and gave them our support because they promised us many things: they promised they would help us defend our ancestral domain from corrupt and land-grabbing government agents; help us grow our crops, sell our products with higher prices, send our children to school, and give our families additional financial assistance (SUPAMIL). But none of these ever happened,” Morris said in the vernacular. All rebel-returnees are members of the Ata Manobo tribe residing in the boundaries of Loreto, ADS and Kapalong, DDN. Their surrender to the Balik-Loob Assistance Center was facilitated by the Tribal Leaders of Gupitan. One of them is a minor. 60IB Commander, Lt. Col. Gilbert Ombos, expresses strong condemnation of the NPA’s exploitation of vulnerable sectors such as the youth and indigenous peoples. “This is the very reason [why] we continue immersing in communities, facilitating dialogue and encouraging them to organize themselves so they may become less, if not totally, vulnerable to the deceptive ploys of the NPA. No one—not our indigenous peoples and especially not our children—should be forced to leave their homes and be caught in the middle of a war these communist-terrorists insists of waging,” Ombos adds. Upon orders by 1001st Infantry Brigade Commander, Col. Gilbert Saret, 60IB recently opened its Balik-Loob Assistance Centers in selected sites within its Area of Operations to accommodate and assist members and supporters of the CPP-NPA-NDF who wants to go back to the folds of the law. Part of the center’s thrust is to aid the rebel-returnees in claiming benefits under the government’s Enhanced Comprehensive Local Integration Program (E-CLIP). The Local Government of Kapalong has already provided medical assistance and food packs to the returnees. The LGU has also committed to provide their other basic needs and help facilitate their safe return to their homes and families.